Tales of the Black Widow Company is the first scenario book that was published for the BattleTech boardgame. 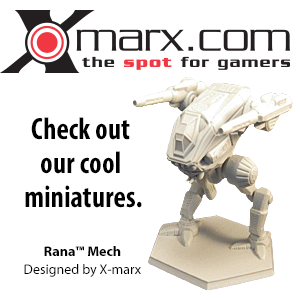 It was apparently designed with the earlier Battledroids rules, as the unique BattleMechs featured in the book comply with Battledroids construction rules but violate BattleTech construction rules. The book focuses on the legendary Natasha Kerensky and her Black Widow Company. It details the unit's pilots and 'Mechs during the period that their parent unit, Wolf's Dragoons, were in the service of the Draconis Combine (3023 to 3028). A separate scenario is set in 3022, when the Dragoons were in service of the Lyran Commonwealth. The book gives a brief history of Wolf's Dragoons, and their leader Jaime Wolf, before going on to detail the history of the Black Widow Company itself. It then gives information of all twelve pilots in the company and their 'Mechs, including details of mechanical foibles and failures that the 'Mechs suffer from. After the information on the unit, the book presents eleven stand-alone scenarios and a short four-mission campaign to challenge the Black Widow Company. Each scenario has a short piece of fiction to set the scene before going on to detail the set-up for the mission, with information on which members of the Black Widow Company are involved in the battle and how they are deployed, details of the opposing units and their deployment, victory and loss conditions for each side as well as any special rules for the scenario. The "Spider Trap" scenario (depicting the attempt by elements of the 3rd Davion Guards and Lindon's Company to kill Natasha Kerensky during a battle on Coursadin) is not included. 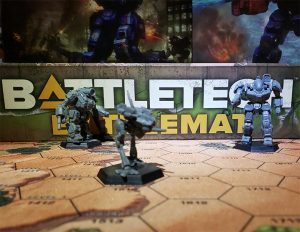 This scenario was instead included in the rulebook going with the German edition of the BattleTech 2nd Edition boxed set. A new scenarios by german translator Reinhold H. Mai: "Heisse Gemüter" (Quick Temper) - Draconis Combine forces have attacked the Lyran world Kobe, where Kerensky's Command Lance encounters Ryan's Battle Lance of the defending Waco Rangers. Both sides have another lance on the way to support them. The landscape, including all water, is frozen, but a nearby volcano is active and gradually raising the ambient temperature during the battle. The half-sentence "Selling their services to the highest bidder," is left out in german translation. The back cover lists some of the scenarios included. In 1985, FASA provided a scenario named Bitter End: The Defense of Connor's Pass to the Game News magazine, who published it in their #8 (October 1985) issue. The scenario was described as an excerpt from the Tales of the Black Widow Company scenario pack, which was also advertised on the same pages in the magazine, and presented in a similar style, but it does not actually appear in this book. This page was last edited on 21 February 2019, at 09:49.